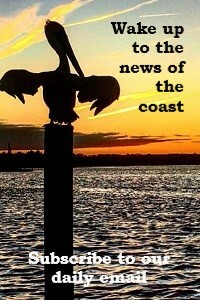 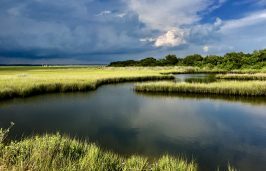 Our Sam Bland writes about the importance of estuaries in celebration of National Estuaries Week, Sept. 16-23, a time set aside to raise awareness and appreciation of our coastal natural heritage. 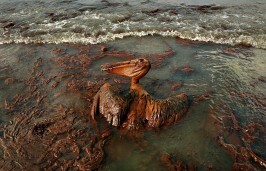 David McGowan, director of the N.C. Petroleum Council, says Gov. 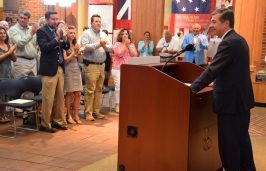 Roy Cooper’s decision to oppose seismic research and offshore drilling was a missed opportunity to play a constructive role in the debate. 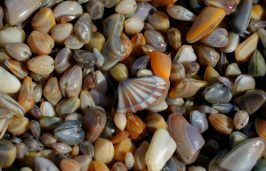 Our naturalist, Sam Bland, recently enjoyed a late-afternoon walk on the beach in search of his favorite critters, the coquina clams, 1-inch, colorful, wedge-shaped mollusks found at water’s edge. 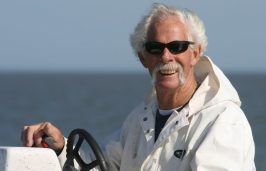 James Barrie Gaskill of Ocracoke, an educator, commercial fisherman, family man and advocate for a healthy North Carolina coast, died Wednesday at 74. 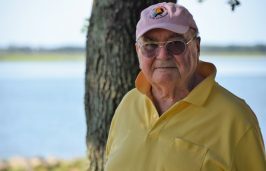 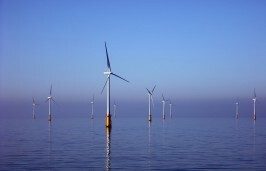 Guest columnist Tom Kies of the Carteret County Chamber of Commerce and the Business Alliance to Protect the Atlantic Coast challenges the reasons given for drilling off North Carolina’s coast. 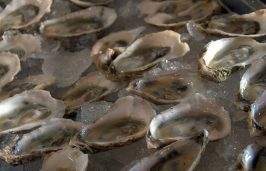 Guest columnist Tom Looney recently attended a celebration of oysters in New York, noting North Carolina’s absence despite being ideally positioned to compete in the growing shellfish aquaculture market. 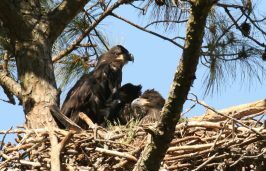 Our naturalist Sam Bland recently spent a day in a kayak near Oriental, watching as young bald eagles learned to spread their wings and fly. 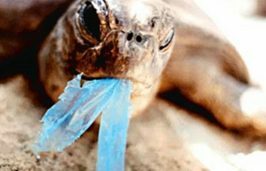 While some folks may not recall, business owners with much at stake in the Outer Banks’ environmental health remember why the plastic bag ban was enacted, as columnist Jared Lloyd reminds us. 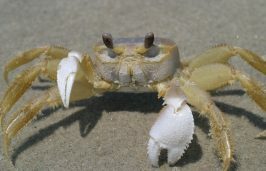 A crabby disposition may not be so great, but crab diversity on the North Carolina coast, which is home to a large number of different crustaceans, is a positive sign. 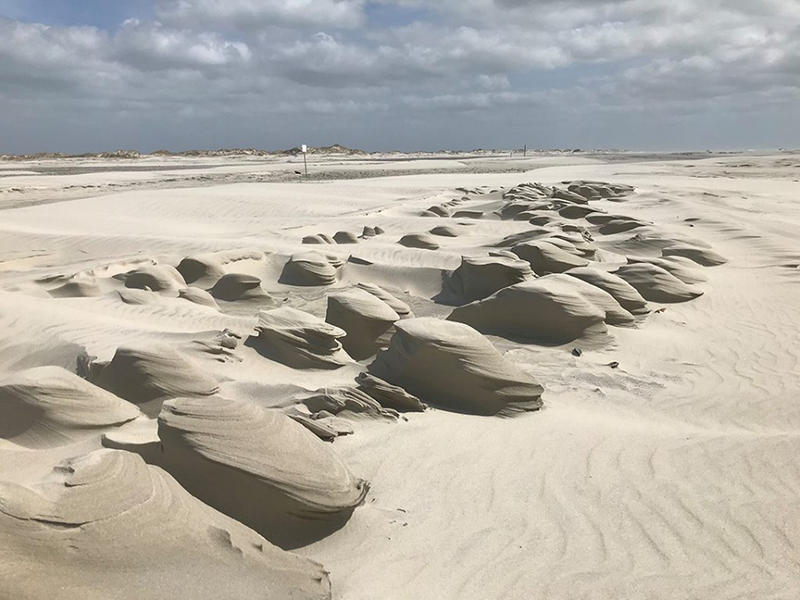 A recent event held to celebrate and inform on efforts to protect and restore the Cape Fear River, the ninth annual StriperFest brought together people of different backgrounds and political affiliations. 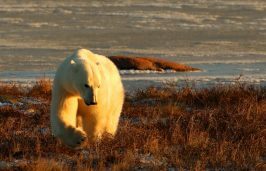 The effects of global warming are especially visible in the land of polar bears, as columnist Sam Bland recently witnessed, but how will the forces now affecting the arctic eventually change life on the North Carolina coast? 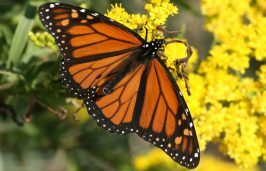 Monarch, the “king of butterflies,” have embarked on their marathon fall migration to Mexico, arriving just in time for the Day of the Dead, where they are regarded as the souls of the departed returning to earth.